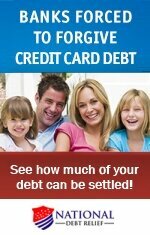 Free Credit Card Debt Help - Benefit from these Resources! There are a variety of organizations that offer free credit card debt help and information. Without cost or obligation, you can take advantage of information and resources that range from financial educational programs and budget planning tools to debt counseling and credit repair advice. While help and support is provided at no charge for the resources listed below, be wary of companies and online providers that say their services are free, but actually have hidden costs and fees they don’t disclose upfront. For companies that claim to offer free services, ask lots of questions about prospective fees and request to see a disclosure/agreement before revealing anything about your financial situation. If you think a company is hiding something, you are probably right. Following is a list of advocacy organizations, governmental agencies, and other resources that offer free credit card debt help. Please note that these listings are not affiliated with CardDebtGuide.com. This site allows you to access and download your personal credit reports each year at no cost. By law, consumers are entitled to a free credit file disclosure once every 12 months from the three national consumer credit reporting companies, which are Equifax, TransUnion, and Experian. The AICCCA is a member-supported national association representing independent, non-profit credit counseling companies that provide free credit card debt help, credit counseling, debt management, and financial education services. With the mission of promoting quality and professional delivery of credit counseling, the organization’s agencies assist millions of consumer annually. This site provides free financial rate information on mortgages, credit cards, new and used automobile loans, money market accounts, certificates of deposit, checking and ATM fees, home equity loans and online banking fees. The CFPB guards against unfair, deceptive, or abusive practices among companies providing financial products and services, which include the issuing of credit cards, loans, and other financial products. As an overseer, the governmental organization seeks to ensure consumers are provided with full disclosure of information about financial offerings, including pricing and associated risks, for product comparison purposes. Among its many functions, the FDIC provides a free, easy-to-use tool to learn more about basic personal financial management. The computer-based curriculum for adults and young people aged 12 and up is called Money Smart – A Financial Education program. The online educational program covers the basics of smart banking, borrowing, budgeting, credit history tracking, credit management, securing a loan and recovering from a financial setback. The FTC helps prevent fraudulent, deceptive and unfair business practices across industries. Its Division of Consumer and Business Education provides information on how to repair credit, recognize credit scams, improve credit worthiness, and secure copies of credit reports. Designed to help people make smart financial choices, this site serves as a repository of education resources from 20 Federal agencies and Bureaus. Information covers money management, securing loans, overcoming credit card debt, planning for retirement, credit scams, and more. Provides financial education and practical information to help people at all financial stages take control of their circumstances, improve quality of life, and ensure a more stable future for themselves and their families. Offering free counseling and educational services since 1952, the NFCC is the oldest nonprofit credit counseling association in the U.S. Each year, the organization’s member agencies help more than three million people return to financial health by providing free budgeting advice, debt management plans, counseling referrals, financial education and more. Services are provided in person, online and over the phone. If you have suggestions for other free resources that provide no-charge credit card debt help, please contact us. The following sites provide additional information to help people more effectively manage finances and debt. The links go to independent sites that are not affiliated with CardDebtGuide.com. Members receive the tools and materials needed to build successful financial plans. Join a community dedicated to understanding and developing simple money management techniques that generate wealth. Begin your path toward financial freedom through ModernCent's proven strategies. WIFE.com is the oldest non-profit organization dedicated to providing financial education to women in their quest for financial independence.